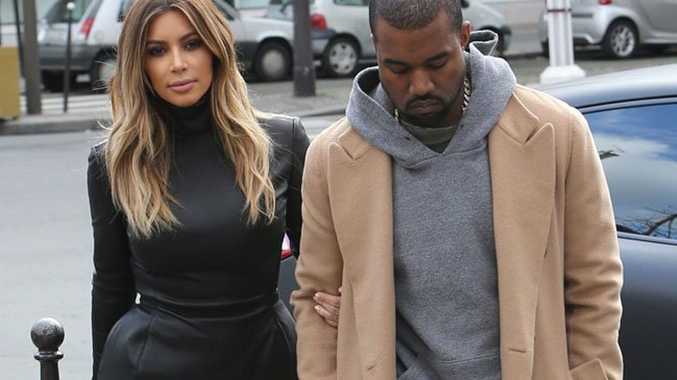 KIM Kardashian insists her and Kanye West's wedding will be "very small" and will not be filmed for her reality show. The 33-year-old star took to her Twitter account tonight (07.05.14) to address rumours surrounding her and her fiancé's big day in Paris on May 24. "1. We are not married yet! "2. We are not filming our wedding for Keeping Up With The Kardashians. "You will see everything leading up til and after! "3. No guest list has been released. Seeing fake ones. Especially not 1600 people invited like I just read. Its VERY small & intimate (sic)". The couple - who have 10-month-old daughter North together - were rumoured to have tied the knot last weekend in a private ceremony in Los Angeles after allegedly securing a marriage licence last month. However, it is believed the loved-up duo will be forced to legally wed in California before their romantic bash in Paris after it was revealed the French law requires a strict 40-day residency before they can get married in the country. The brunette beauty has been busy preparing for her big day in the romantic city and recently admitted that she's chosen her wedding gown after trying on "quite a few". Kanye West an American Idol judge?